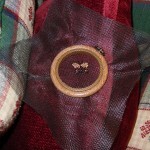 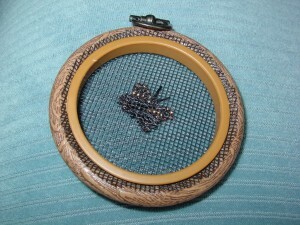 I used a single strand of black, cotton, DMC embroidery thread, waxed, this time. 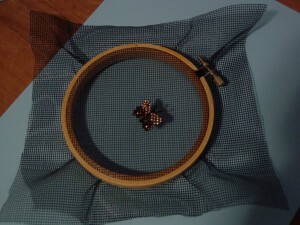 It worked better than the Nymo beading thread. 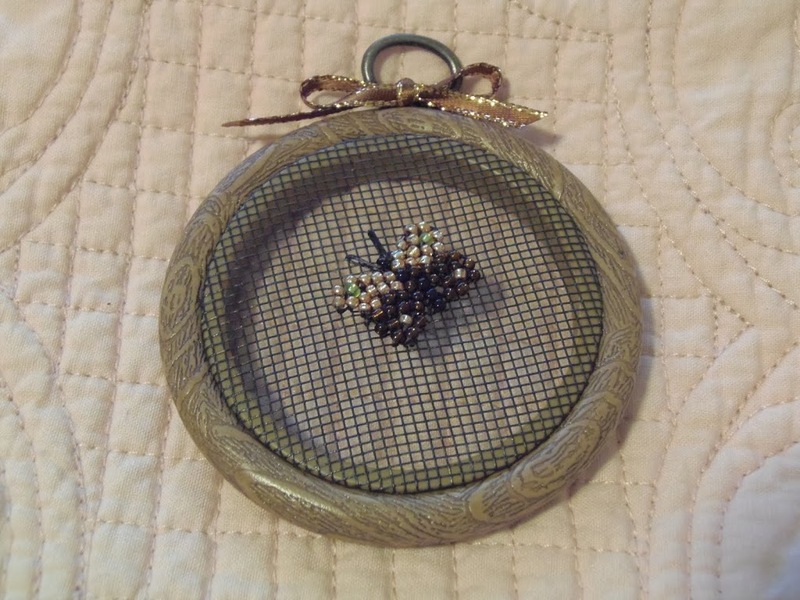 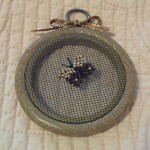 I stitched through each bead twice, and I stitched across each opening, diagonally. That way, these #10 seed beads ‘sit IN the mesh, instead of on top of it. 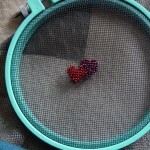 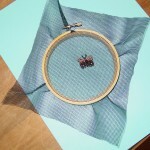 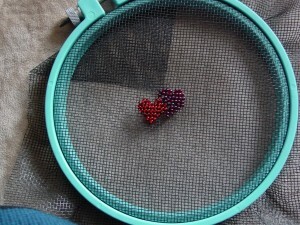 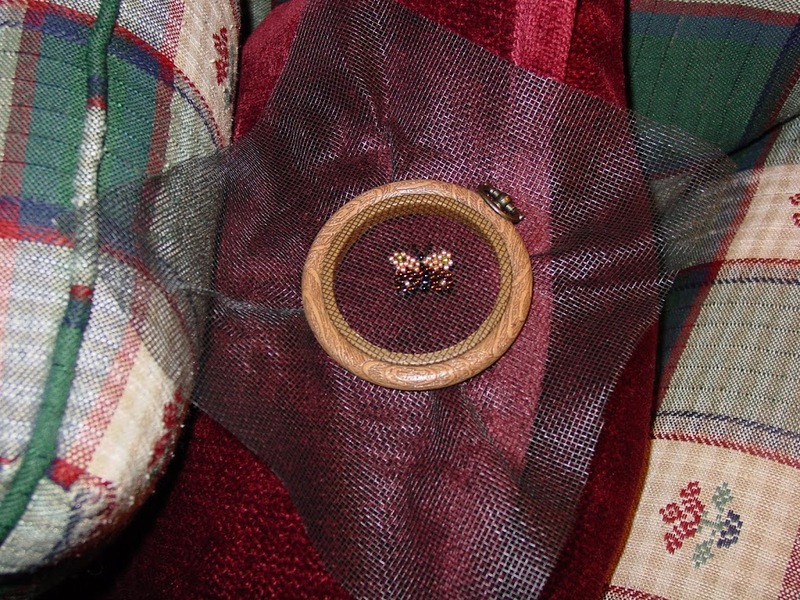 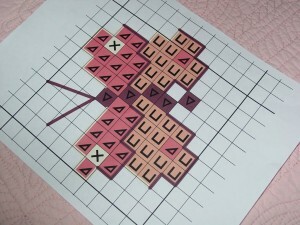 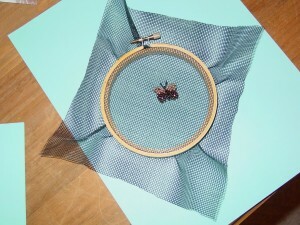 These little double hearts also came from a larger design offered by the Cross-stitchers’ Club.